There are numerous places around the world where internet penetration is quite low and which are in the early stages of digitization. It is specifically for such places that major tech companies like Google, Twitter and Facebook are actively investing to create new products and services. 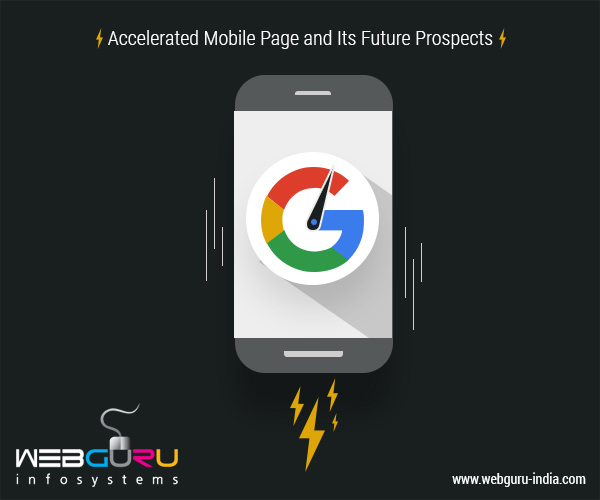 One of the latest advancements in the field of search is Accelerated Mobile Pages or AMP, through which Google and Twitter intend to deliver insanely fast web pages on mobile devices. The company has already started rolling out this feature, with new coding standards to be implemented directly into the websites. This is basically an ‘open’ form of Facebook’s Instant Articles. Things like forms have to be removed from HTML in order to optimize the website for AMP. Most of the CSS can be used in the code but they have to be inline. Moreover the entire CSS sheet has to be of a maximum size of 50 Kilobytes. By using the preconnect API, HTTP requests are delivered faster than ever. This allows AMPs to be rendered even before the user decides to visit the page. However AMP is optimized to efficiently use CPU resources and bandwidth to prevent misuse. Apart from the inevitable effect of Accelerated Mobile Pages on the user experience, it can be a crucial new factor when creating a SEO strategy. People love to see fast loading times, which is precisely what AMP provides. And search engines like Google have already started emphasizing on this feature in a huge way so that people get an even better browsing experience. Instantaneous load times also lead to more page views and thereby greater ad views and content engagement. Higher Search Rankings – Google has already started placing AMP optimized websites on top of search results, although the presentation might change going forward as more companies start adopting this feature. AMP optimized websites also have a unique thunderbolt icon to distinguish them from non-AMP optimized ones. AMP and Analytics – Google has already proclaimed that Analytics will soon be arriving to support AMP enabled websites, allowing users to track how their AMP content is performing. ComScore, Adobe Analytics, Chartbeat – AMP is going to be the thing of the future as adopters increase. Open to All Publishers – Accelerated Mobile Pages, unlike Facebook Instant Articles, can be adopted by anyone who is willing to optimize his or her website. This has the potential to reach out to numerous readers around the world. Greater Impressions from Paid Search – With such insane load times, the most common things people do after visiting an AMP enabled page is go back to the SERP. This can lead to a drastic increase in paid search impressions going forward. It is Still Work in Progress – AMP is relatively new to the tech world and is still under development. To optimize a website for AMP, a lot has to be sacrificed in terms of features and functionality, although chances are that they might as well get supported a few years down the line. UX Might Not be Appealing – AMP based websites lack external stylesheets, which automatically means it will not sport the same look and feel as a normal website. While these websites are great for fast loading and casual reading, they fail to provide a fuller experience like their non-AMP counterparts. A Different Approach to Ads – With AMP, publishers will have to rethink the way they serve ads with content on their websites, which could be both a good and a bad thing. While it will lead to a better customer experience, it might adversely affect the publishers, unless of course, they are into the Google AMP ads partnership. Increased Budget and Effort – Despite the fact that AMP will lead to more benefits, publishers will have to invest more time, effort and money into building an AMP optimized website. Revised coding patterns mean greater effort and more financial support, because AMP will not work with poorly coded HTML pages. Google search results have always taken into account web pages which are capable of loading quickly. Now that Google has cooked up its own way of preloading and delivering accurate web pages, incorporating this feature into a website can be extremely beneficial in the long run. Considering the fact that AMP is still new, there cannot be a better time to jump on the bandwagon. This blog is quite informative. I did not know half of the stuff mentioned here. I have often come across the thunderbolt icon, wondering what it stands for. And now I know what it is all about. I had no idea about the technical aspects of AMP until I read this blog. Thanks to you, I know what Google is up to. It is good development without a doubt but as you said, it is going to increase the work of the developers to a large extent. Accelerated Mobile Pages are stripped down versions of HTML which can speed up load times to a large extent. Thanks for sharing the blog. Great job, keep it up..